Back in middle of July, we learned that The Walking Dead’s Benedict Samuel will be coming into Gotham Season 3 as Jervis Tetch a.k.a. the famous Batman villain, the Mad Hatter who will be a series regular in the third year of the Batman prequel drama. But he isn’t coming alone as Variety broke the news today that Naian Gonzalez Norvind has been cast in the recurring role of Jervis’ sister, Alice Tetch. who will be debuting in the third episode of the new season. But the casting of Alice isn’t the only thing that is on the Gotham radar today. Set photos revealed today that Jessica Jones actor Kieran Mulcare was spotted on set looking very ghostly, sporting white hair and wearing a white suit. A little while back, executive producer John Stephens revealed in a CBR interview that we would be seeing the following characters in Season 3 and there is a strong possibility that the last name is who Mulcare is portraying. 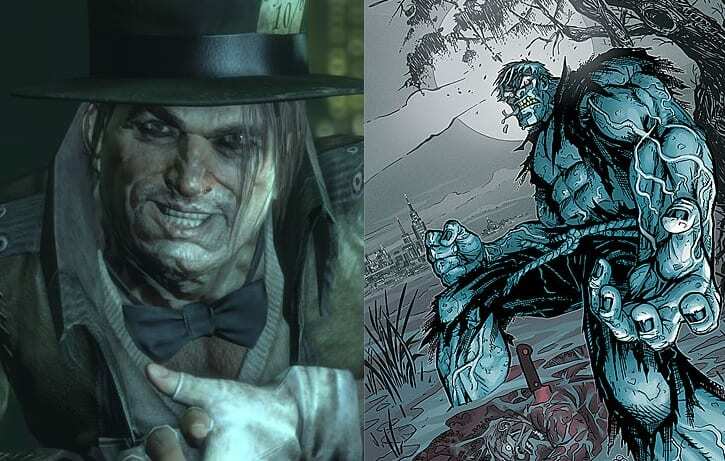 This could be the pre-monster version of Solomon that we are seeing and given that this season of Gotham will be exploring the monstrous villains in the Caped Crusader’s city, his evolution could be coming sooner rather than later in the form of Mulcare’s character. However, FOX TV and Warner Bros. TV hasn’t confirmed at this point who he is playing, but Grundy would be the logical choice. Gotham Season 3 is set to premiere on Monday, September 19 at 8/7c on FOX.